While it’s a professional’s job to fit a skylight unit on to your space, you can execute this project as well if needed. The only thing required in that case will be a prior knowledge of what to choose while buying your product, and how to install it without hurting you and compromising any of the expensive items. That’s where we can help! Here in this post, we’ve enlisted 8 essential points you need to consider before setting off the task of installing skylights. 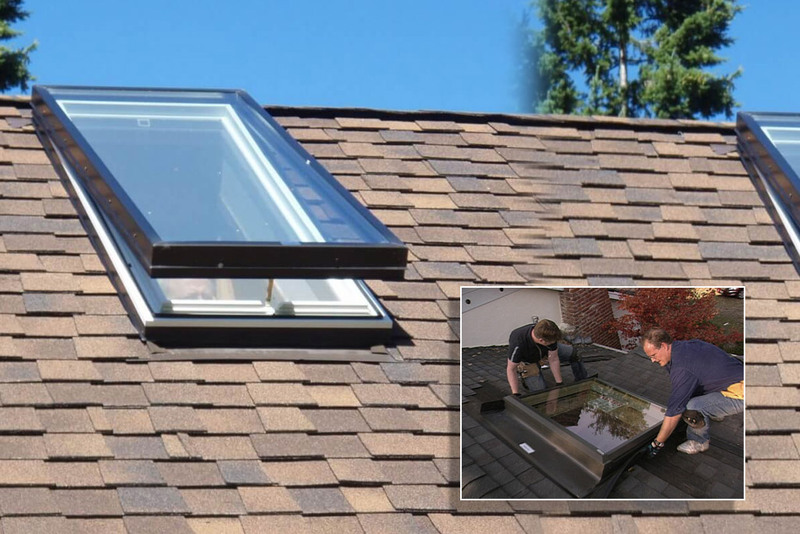 Installing a skylight is a sincere undertaking; you wouldn’t want to regret your decisions later on. As the skylight unit you buy is going to accompany you for a long-term, you should choose its quality wisely. Considerations like water tightness, energy efficiency, sound compression, wind resistance, and ventilation need to be given attention beforehand. It is recommended to ask your skylights manufacturer and supplier about the exact specifications of the product you want to opt for. Primarily, the placement of a skylight depends on where and how the rafters of your house-structure are positioned. Hence, grab your house’s blueprint or space plan to know about the spaces & joints, and plan accordingly while preparing to cut out your roof’s sections. An adverse weather condition like rain or storm can be a great hindrance to your task. It does not only interfere with the installation process but can also put your safety at risk by causing you to unbalance and fall off the height. So, plan out to execute your project on a nice weather. Take special care to be safe during the skylight installation process. Before you climb up your roof, make sure the ladder you’re using is of proper size & type, and the shoes you wear have appropriate traction. Besides, use suitable roof jacks as per the slope of your roof while you’re working on your skylight. Drive solid nails into the joists when securing these roof jacks. Understand which flashing kit is best for your roof pitch. There are a vast number of these kits available to suit your particular roof slope. If you’re not sure which one you should choose, take help of your skylight manufacturer to provide you with the required information. After you have taken the sheathing out from the interior, start working on the box contours you have sketched for your skylight unit. You need to drive one nail on each vertex of this box to trace the opening of your skylight from the outside. Keep removing the shingles from your roof’s exterior until you completely see your sketched opening. It’s always good to apply extra insulation and drywall as this will curtail condensation and allow the maximum light your ceiling space can offer.